This month's challenge is Animal Friends. I hope you will get out your animal friends stamps and join us. I used the Solid Peacock stamp on this card. 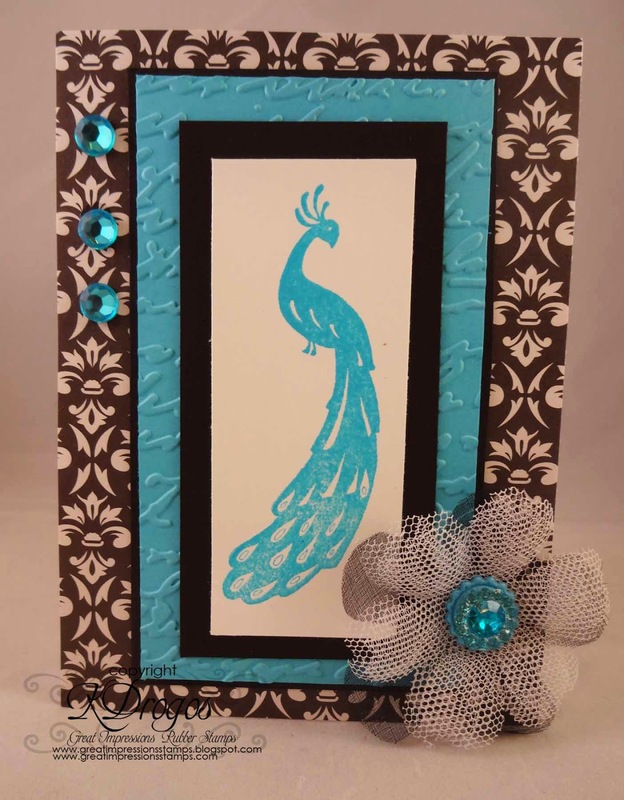 I used Stampin' Up's Tempting Turquoise ink and matching paper. For the paper I embossed it with a script embossing folder from Provo Craft. Gorgeous!! I loveeeeeeeeeee the peacock!!!! what a pretty Peacock.. gorgeous card.. This is a gorgeously elegant card!! So well done and such an eye-catching design! !